Smile! Spring has sprung in the martian southern hemisphere. With it comes the annual retreat of the winter polar frost cap. 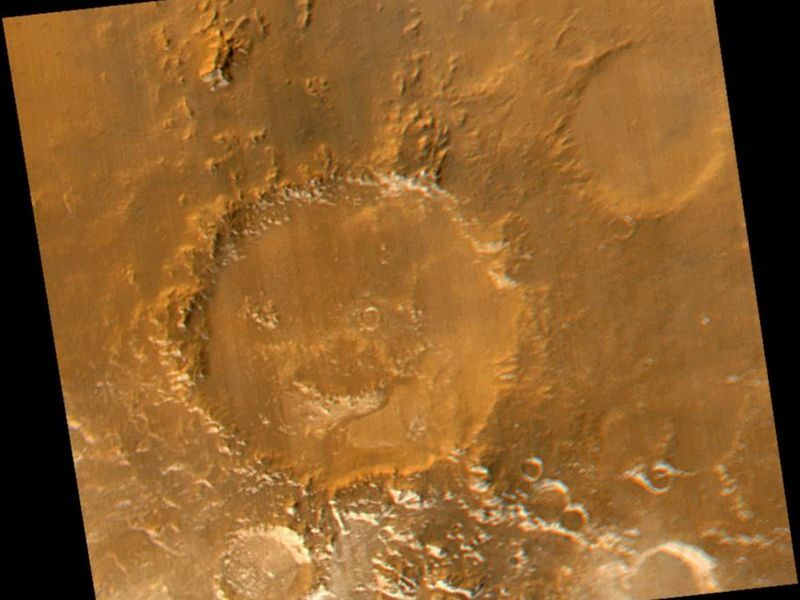 This view of "Happy Face Crater"--officially named "Galle Crater"--shows patches of white water ice frost in and around the crater's south-facing slopes. Slopes that face south will retain frost longer than north-facing slopes because they do not receive as much sunlight in early spring. 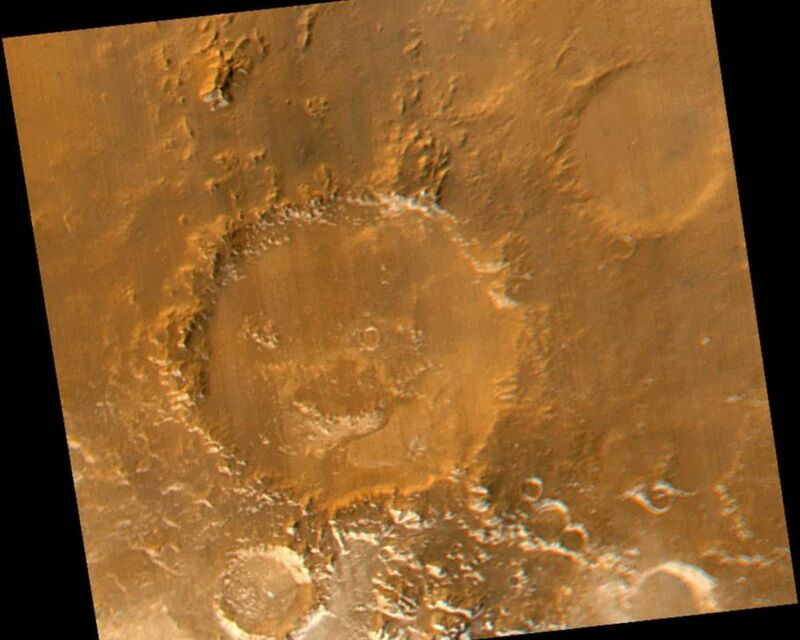 This picture is a composite of images taken by the Mars Global Surveyor Mars Orbiter Camera (MOC) red and blue wide angle cameras. 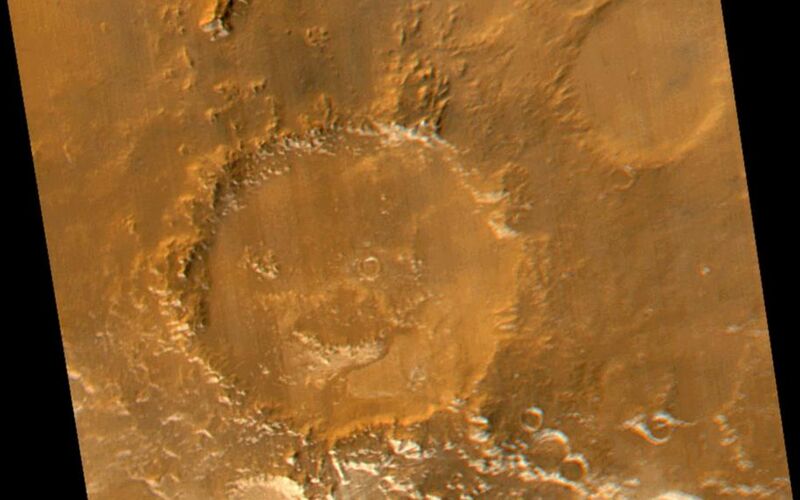 The wide angle cameras were designed to monitor the changing weather, frost, and wind patterns on Mars. 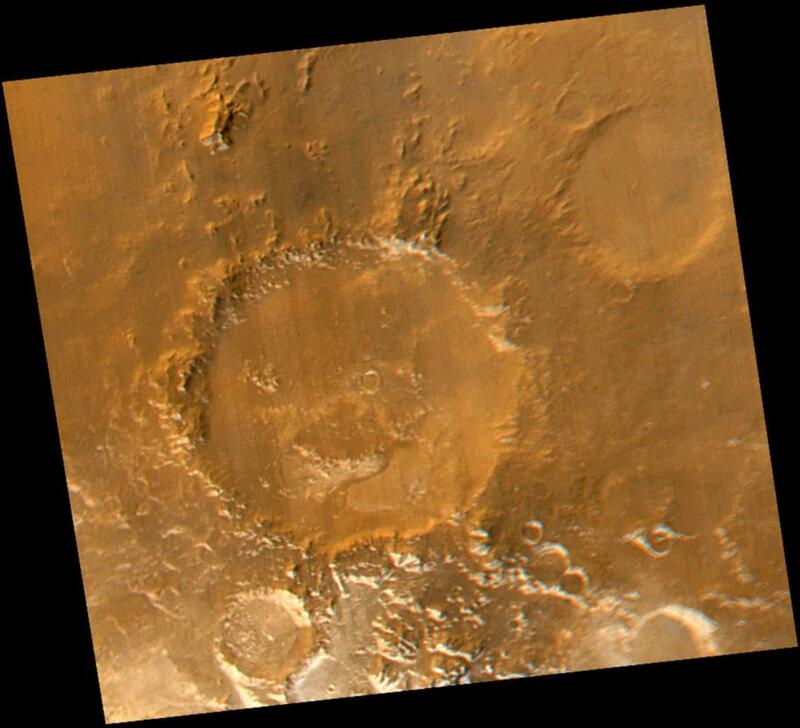 Galle Crater is located on the east rim of the Argyre Basin and is about 215 kilometers (134 miles) across. In this picture, illumination is from the upper left and north is up.